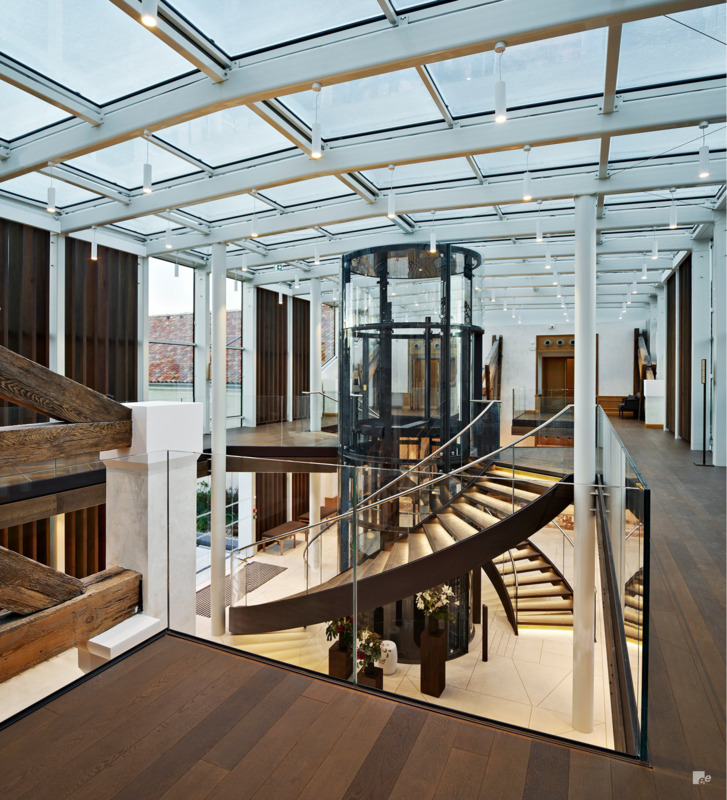 EeStairs has supplied two feature staircases to a stylish five-star hotel in the city of Cognac in western France. 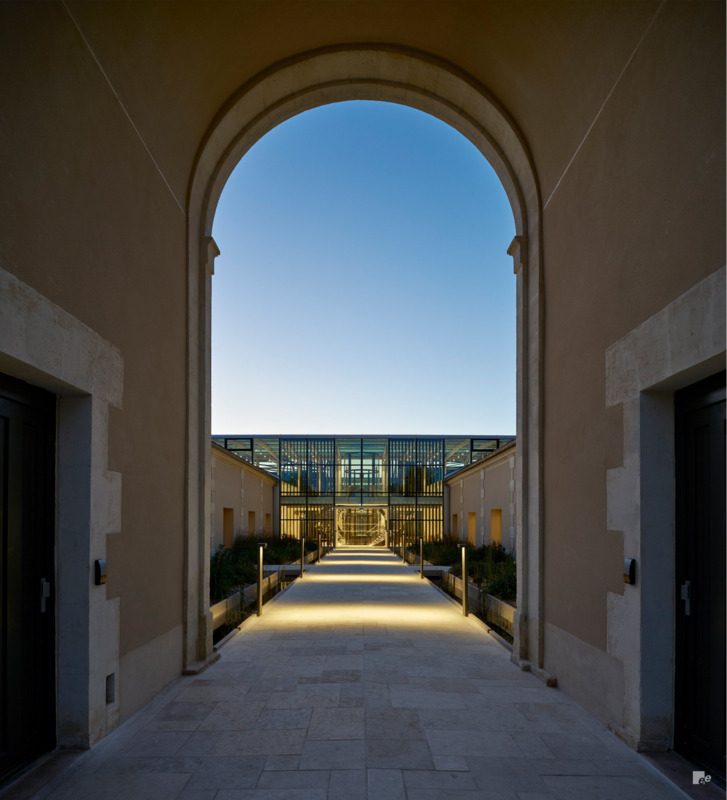 The luxurious 92-bedroom Chais Monnet Hotel, which is based in Cognac’s historic centre is located on a site featuring existing buildings that date back to 1838 - and features an interior with a number of high-specification design elements. 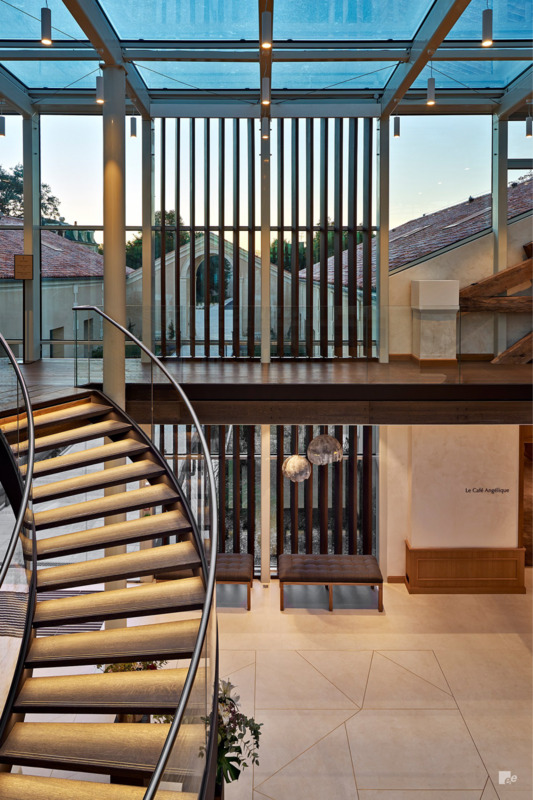 Among them are two dramatic statement staircases in the hotel’s main hall, which turn around a lift that runs throughout the heart of the property. 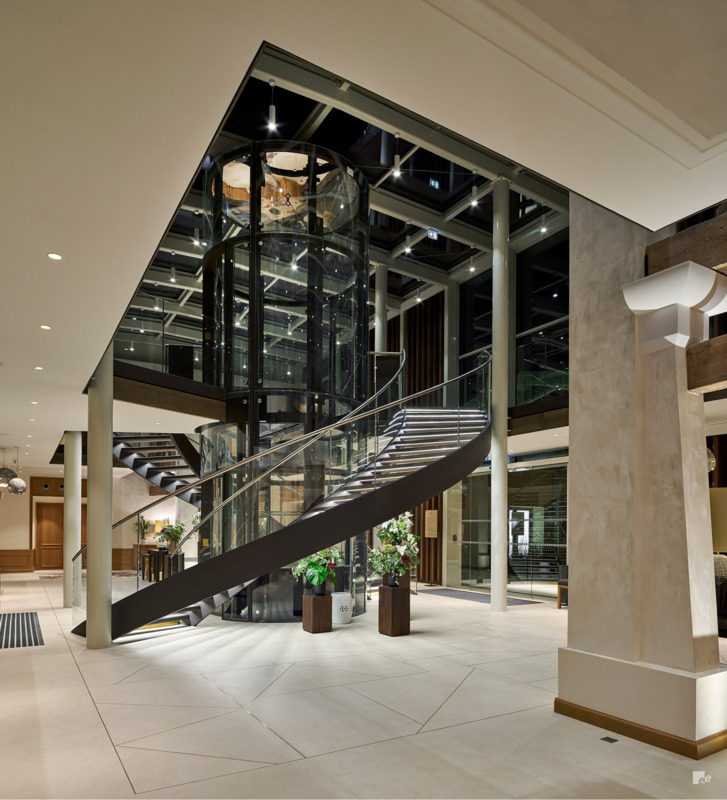 Featuring dark oak treads and a balustrade formed from extra clear glass and stainless steel handrails, the staircases are truly unmissable in one of hotel’s key public spaces. 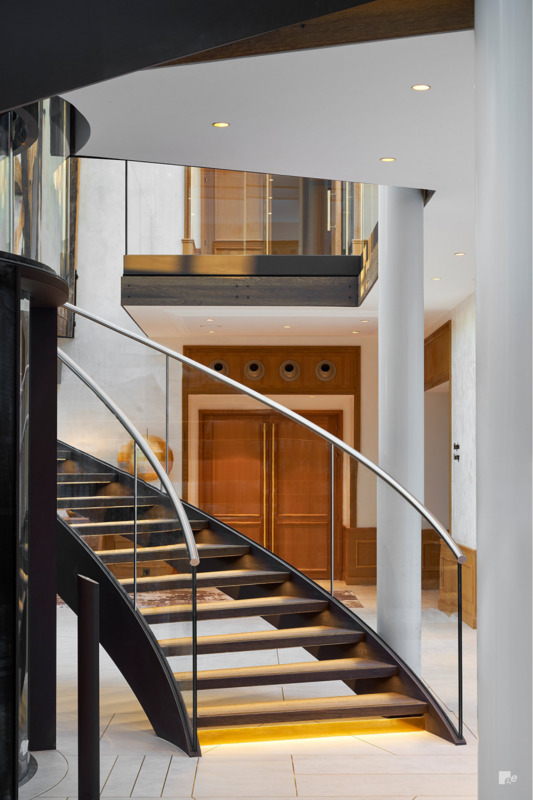 Both staircases feature two mild steel stringers on each side and two strips of brass in each tread act as an anti-slip mechanism. 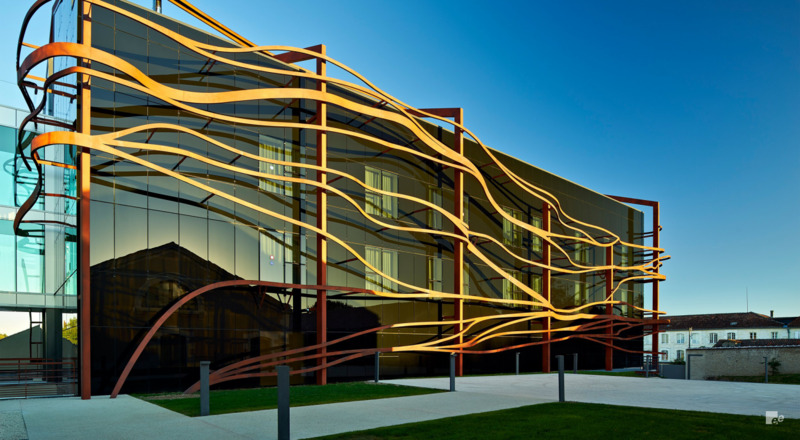 LED lightning carefully placed underneath each tread provides additional lighting in the interior, while all mild steel used in the design was finished in an exclusive textured powder coating. The lift structure was already in place which meant that EeStairs’ specialist installation team had to use a number of cranes to carefully install the staircase around the elevator. 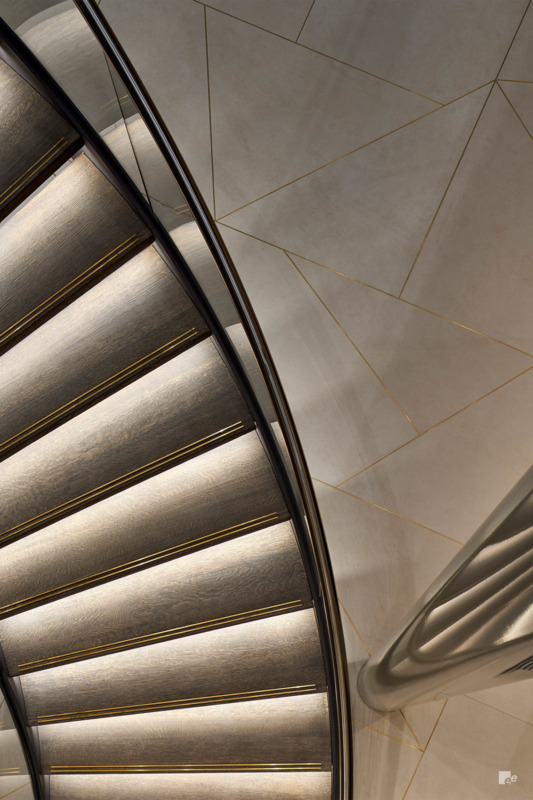 The second stage of the installation included the addition of more the staircase’s treads, LED lighting, glass and stainless steel.